It's so fun, it'll knock your socks off! Our annual Red Shoes Run is an afternoon full of fun for the whole family. There will be food, drinks, games, music and more for everyone to enjoy. 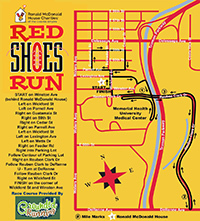 The race starts and finishes at the Ronald McDonald House© and is perfect for both experienced and new runners/walkers. Plus, your 4 legged family members can join too. Division winners for both men and women (8 age categories) will receive a uniquely RMHC© prize! While all participants get a pair of super cool RMHC© Sunglasses and a McDonald’s Value Meal Coupon! 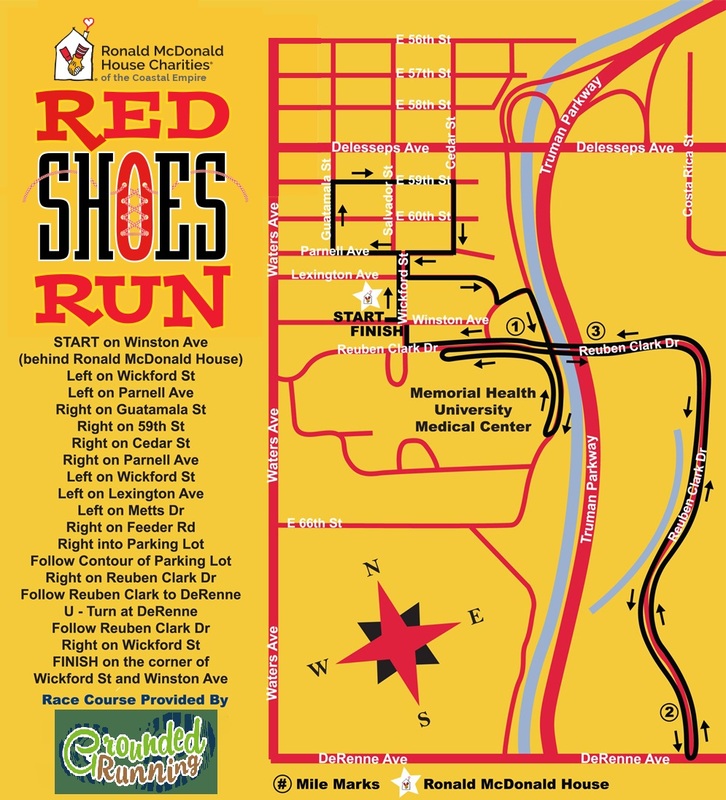 The Red Shoes Run is affectionately called the “Mini-Bridge Run,” as it is perfect training for the “big one” later in the year! After the race, stay for the post-race party aka “the best family friendly party in Savannah.” Featuring entertainment, refreshments and a celebrity guest appearance by Ronald McDonald. If you are interested in sponsoring this event, please contact Bill Sorochak at (912) 350-7641 Bill@rmhccoastalempire.org.